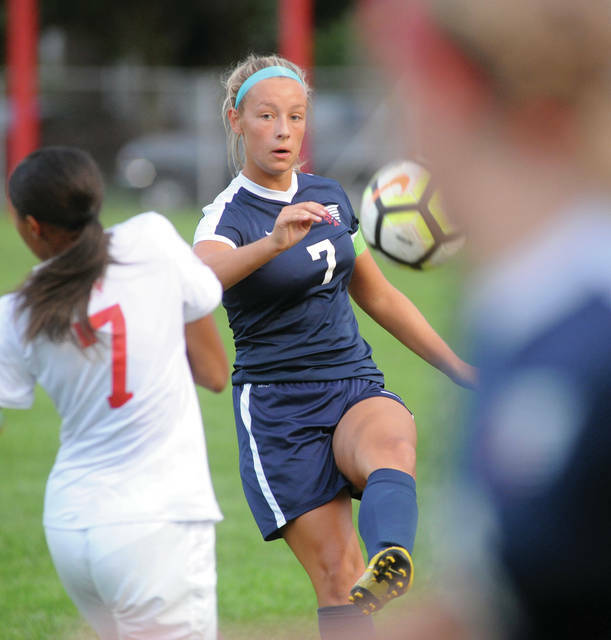 Piqua midfielder Olyvia Malone passes the ball against Stebbins Wednesday at Wertz Stadium. Piqua’s Hailey McPherson works her way around Stebbins’ Alexa DeHaven Wednesday at Wertz Stadium. Piqua’s Tayler Grunkemeyer passes the ball against Stebbins’ Rya Sumlin Wednesday at Wertz Stadium. Piqua’s Shayna Bragg takes a shot against Stebbins Wednesday at Wertz Stadium. 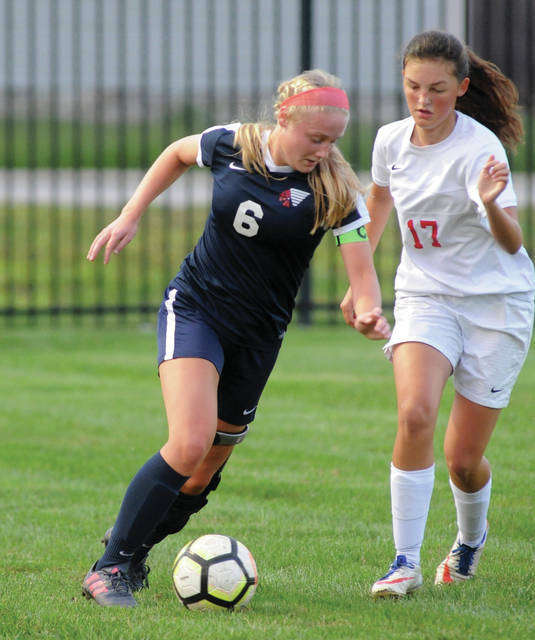 The Piqua girls soccer team got back on track Wednesday night, blanking Stebbins 2-0 in GWOC American action. 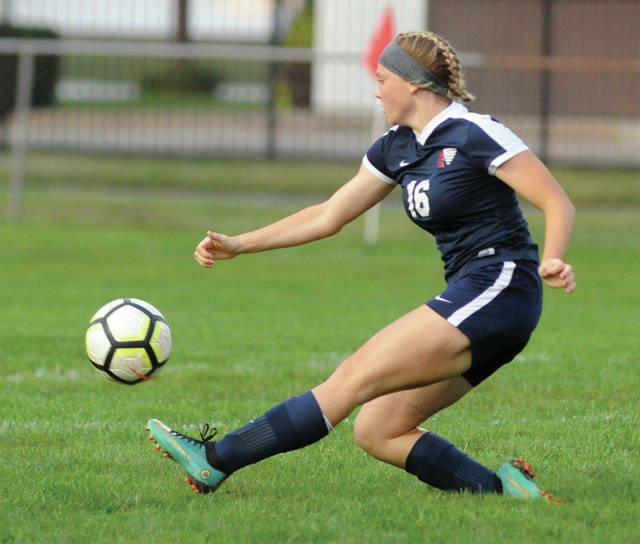 Piqua improved to 3-1-2 overall and 3-0-1 in GWOC American play, while Stebbins dropped to 1-5-0 overall and 1-3-0 in GWOC American play.. Despite dominating the play and controlling the ball, the game was almost 35 minutes old before Piqua got on the board. With just over five minutes remaining in the first half, Haily McPherson rocketed a shot off the left post and chased down the ricochet. Tayler Grunkemeyer then made a perfect pass past the goalie and Grace Forness tapped it in from in front of the net. McPherson then played add-on just over three minutes into the second half, scoring from the leftside off an assist from Grunkemeyer. Stebbins best chance to score came with just under two-minutes remaining. Rya Sumlin had a breakaway towards the Piqua goal, but Tanner Grise came out of the goal to make the save. Grise finished with eight saves, while Stebbins’ goalie Audrey Paddon had six. In JV action, Piqua recorded a 2-1 victory. 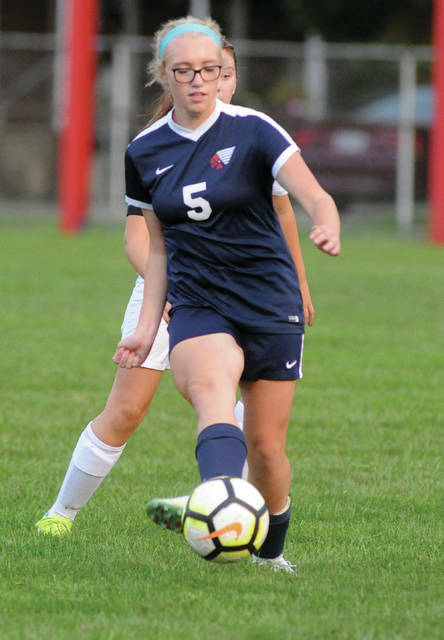 Ava Rowley scored both Piqua goals. Piqua will be back in action Saturday, playing at Graham.